Serato DJ + DVS Enabled. 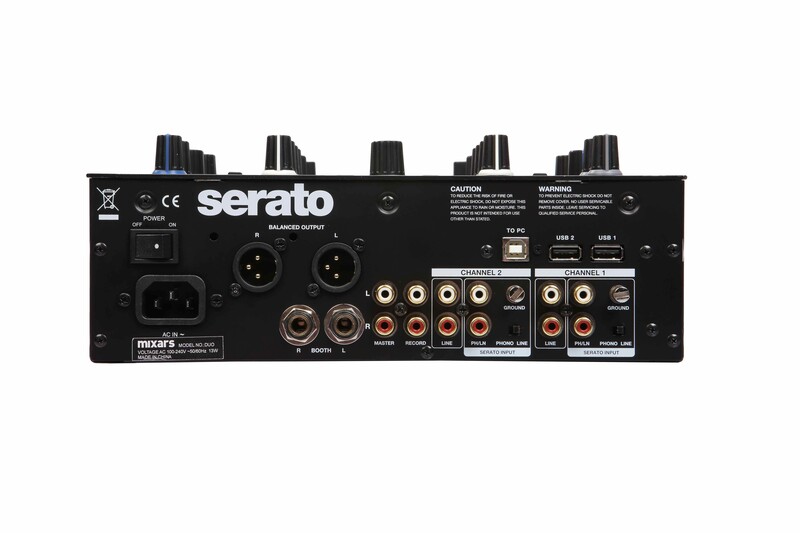 Plug-and-play with Serato DJ and using turntables/CDJs with Serato Control Vinyl/CDs. Integrated 24-bit/48kHz high quality audio interface. 8 RGB rubber performance pads for control of Cues and Samples as well as a unique switch for quick swapping between modes. Control for Serato DJ FX and Looping. Built in USB HUB to power third party USB devices. MIC input with tone adjustment (Combo Input). Analog High/Low-Pass filter on each channel. USB 2.0 high speed class compliant audio and MIDI USB ports. When using Serato DJ, FX are post-fader. 1. 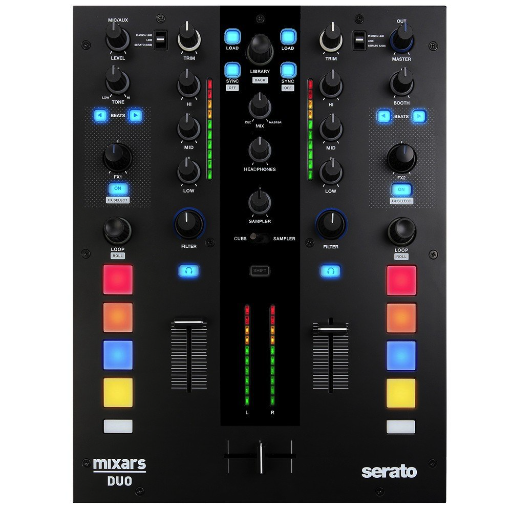 The mixer looks almost identical to the Native Instruments Traktor Kontrol Z2 mixer????? 2. 10 out of 10 for adding 2 x onboard powered USB ports to the mixer for external 3rd party controllers and MIDI controllers!!! 3. 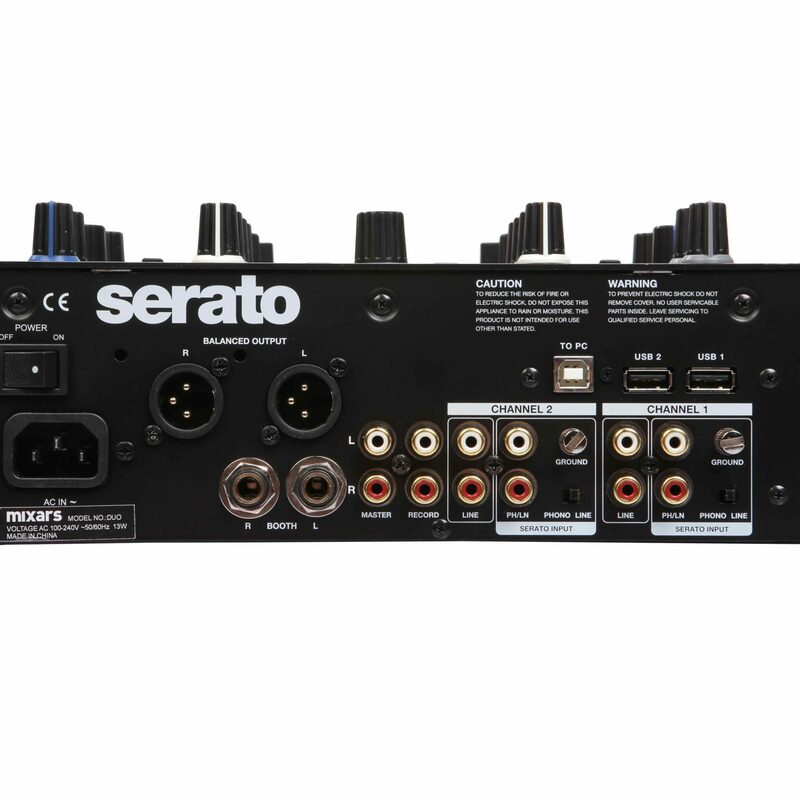 2 “+ 2” channel mixers seem to be the trend these days, and what makes this mixer really interesting is the fact that you can assign most control functionality of Serato to external USB devices, as well as MIDI functionality to external MIDI devices. I would love to know what the quality of the faders and filter knobs are like.. 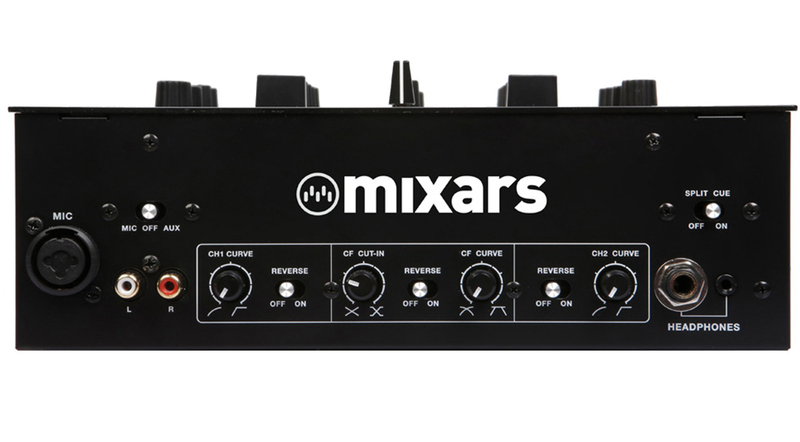 Prior to stumbling onto a clip of the Mixars Duo Mixer earlier today, I have NEVER heard of them before, yet they have some interesting products in their range. One of which is a Dj Scratch turntable, which happens to be the only turntable in the world with dual RCA outputs. Check out the Mixars LTA Player! On my journey of discovery and researching more about the Mixar Duo Dj Mixer…. …. I stumbled onto this clip…. …. 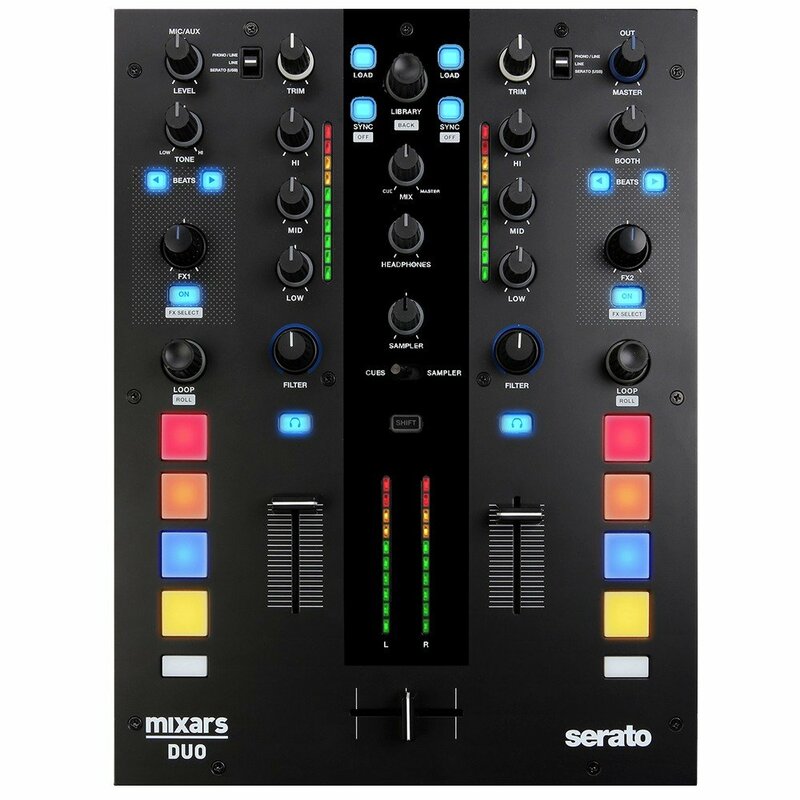 2 Dj’s battling it out on ONE deck and TWO mixers… Check this out!